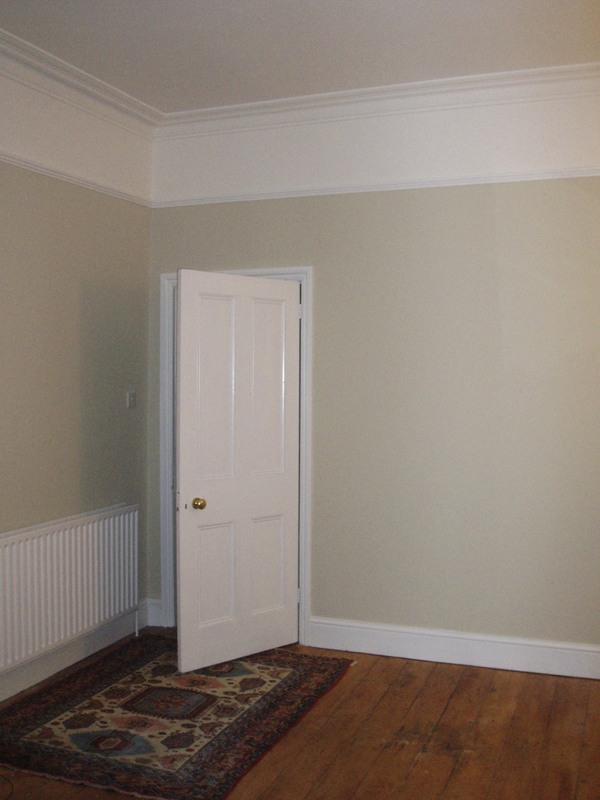 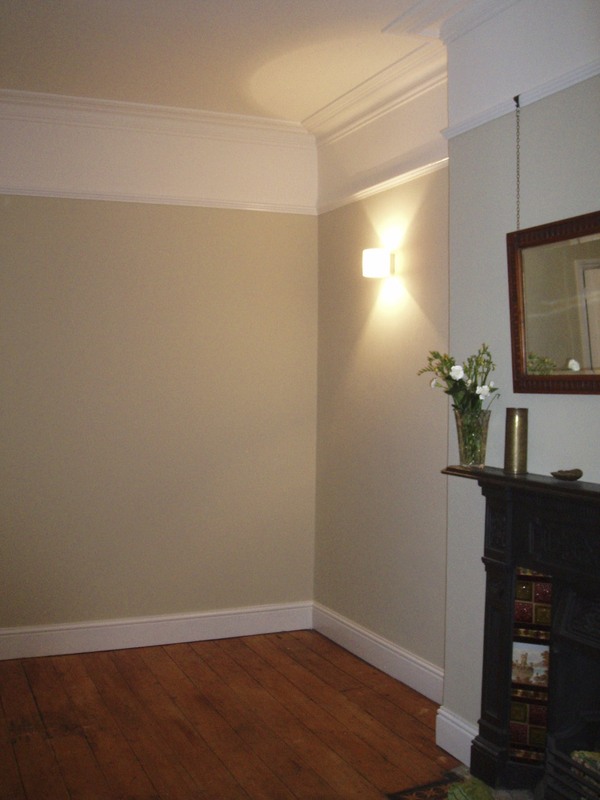 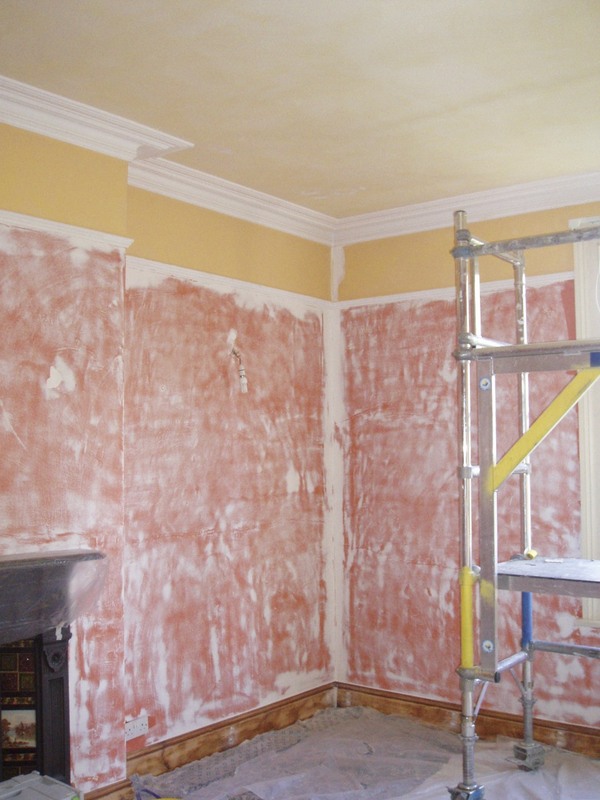 The client, with a newly-acquired private home in London, wished to improve this room with a colour scheme that would highlight the original Victorian features. 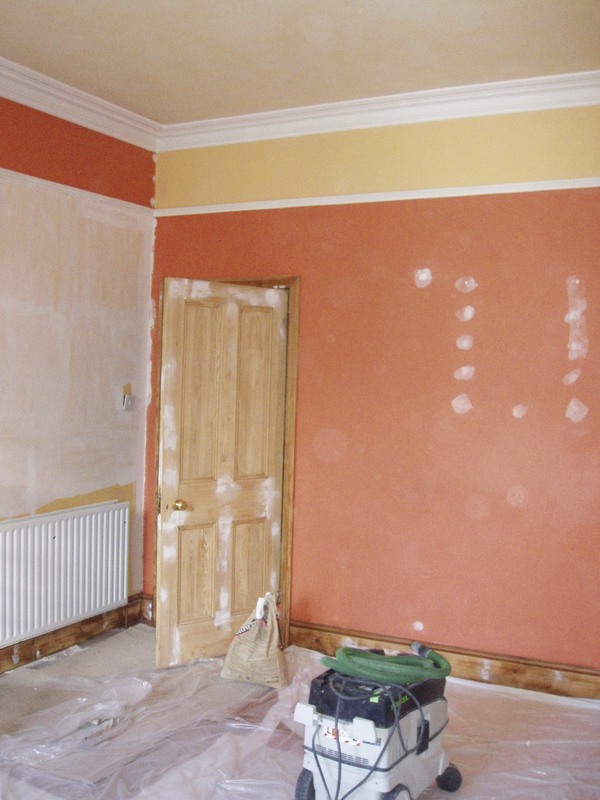 By hand-mixing my own paints, I am often able to find the exact colour or shade to meet the client’s requirements. 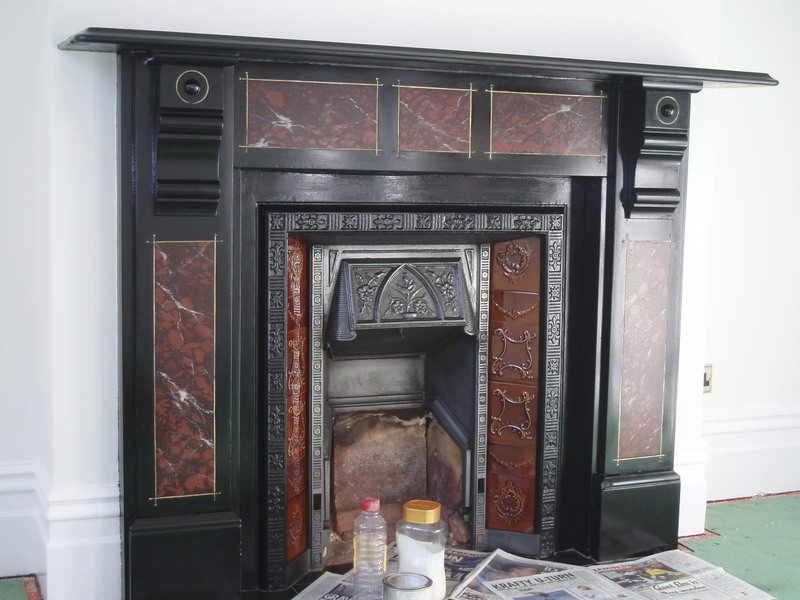 With this new colour scheme the room appears larger, lighter and the focus is brought to the original cast iron fireplace. 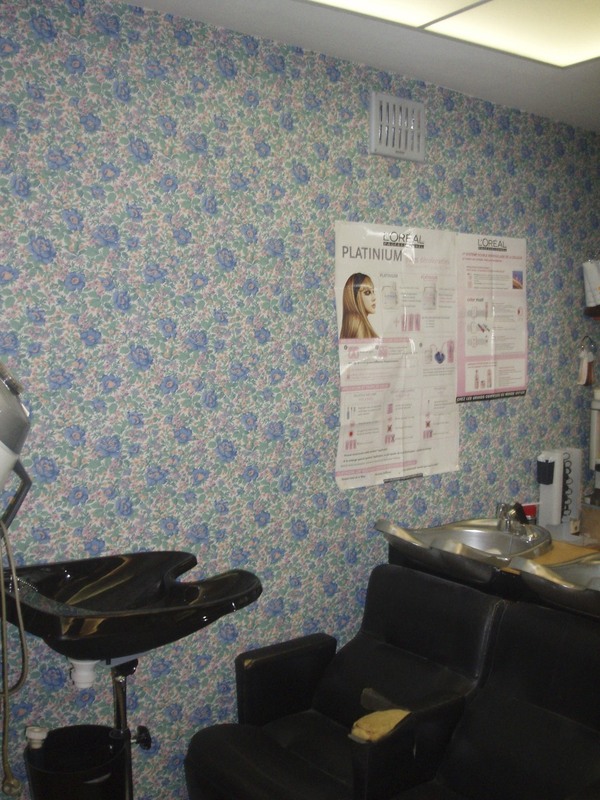 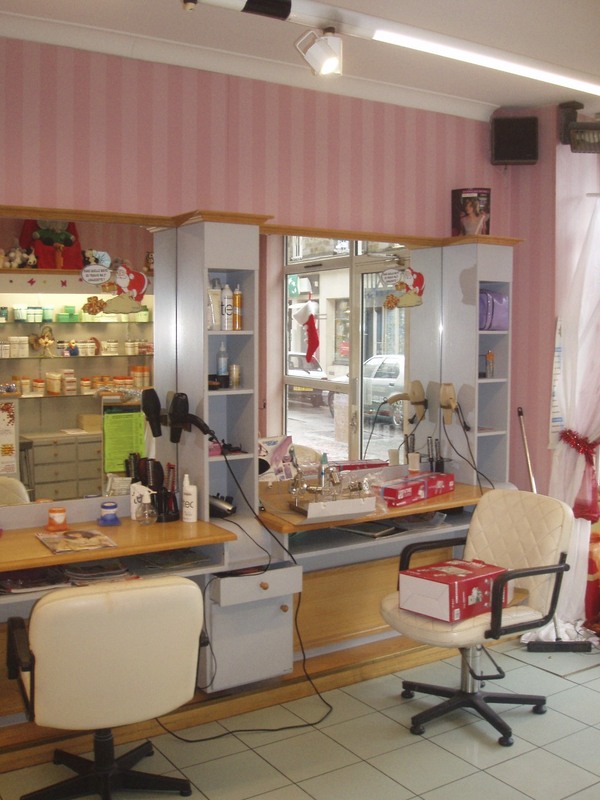 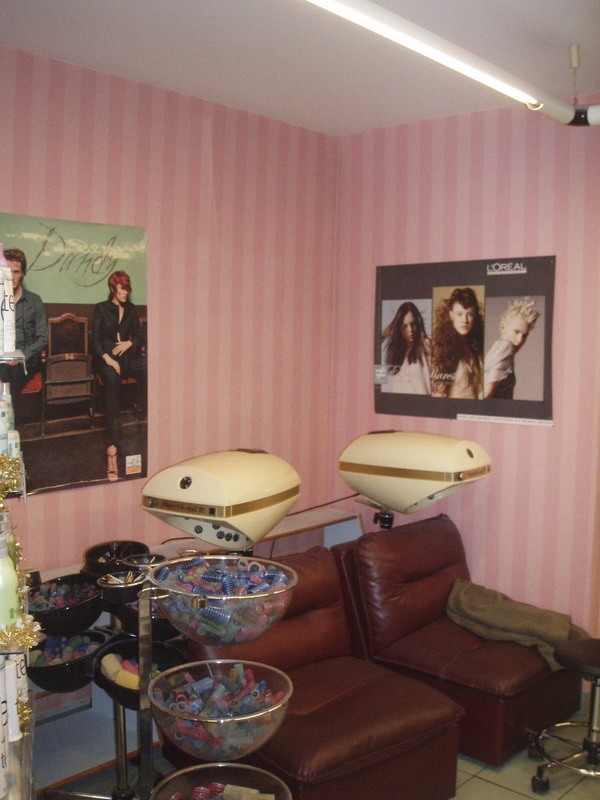 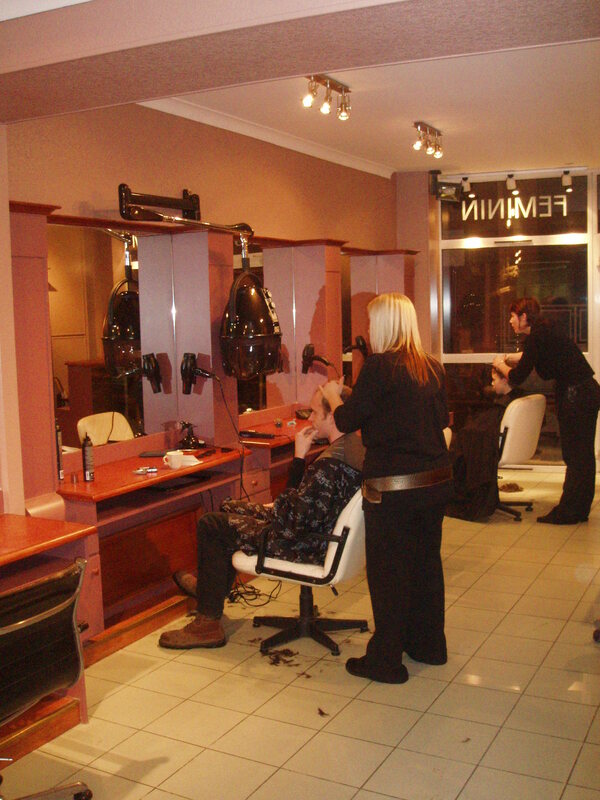 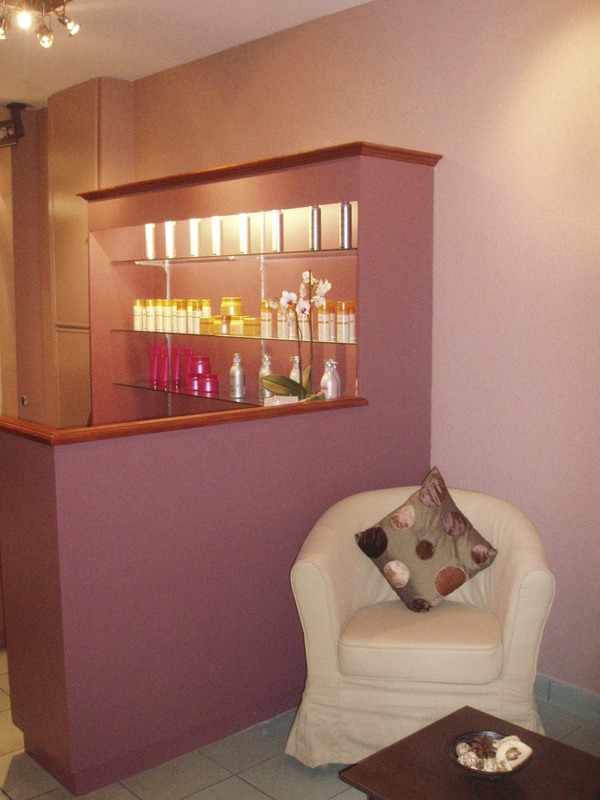 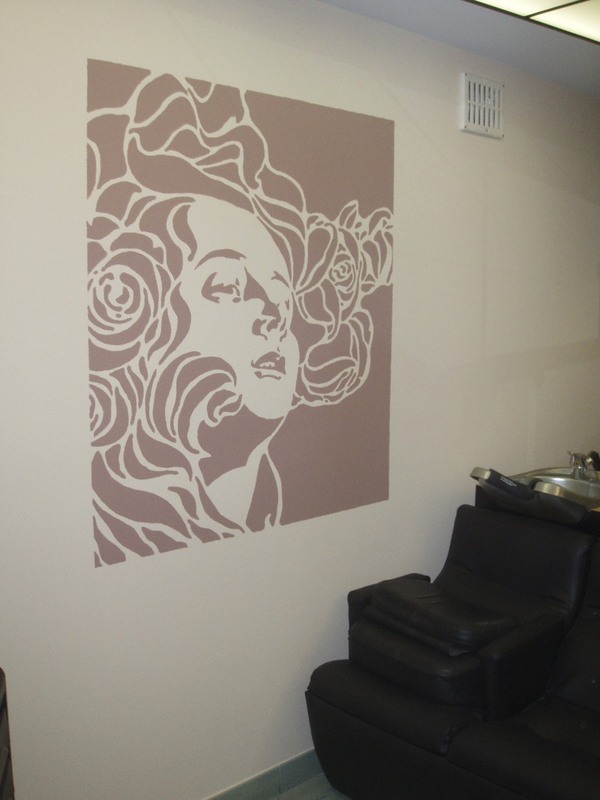 The complete makeover of this hair salon in Normandy, France was one of my first solo projects as a decorator. 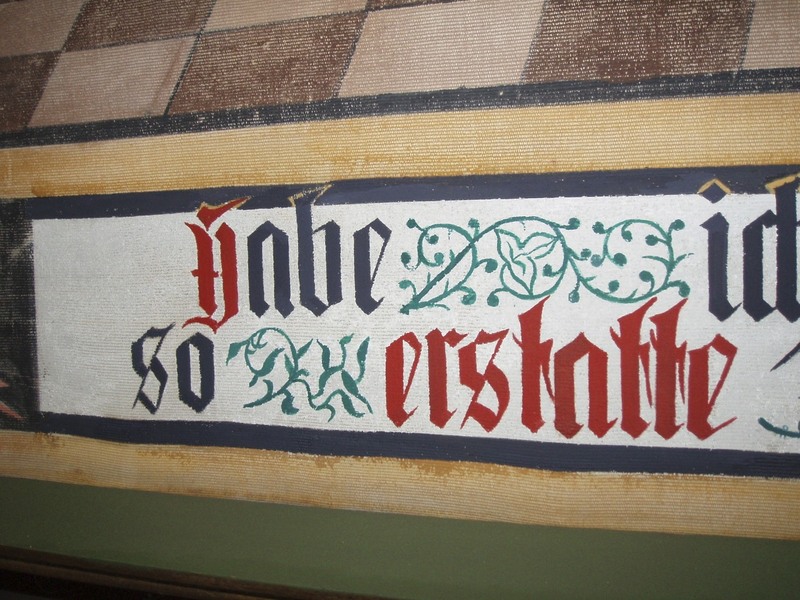 Drawing on my deep interests in the Art Nouveau movement, the final result included two hand-painted murals inspired by Koloman Moser. 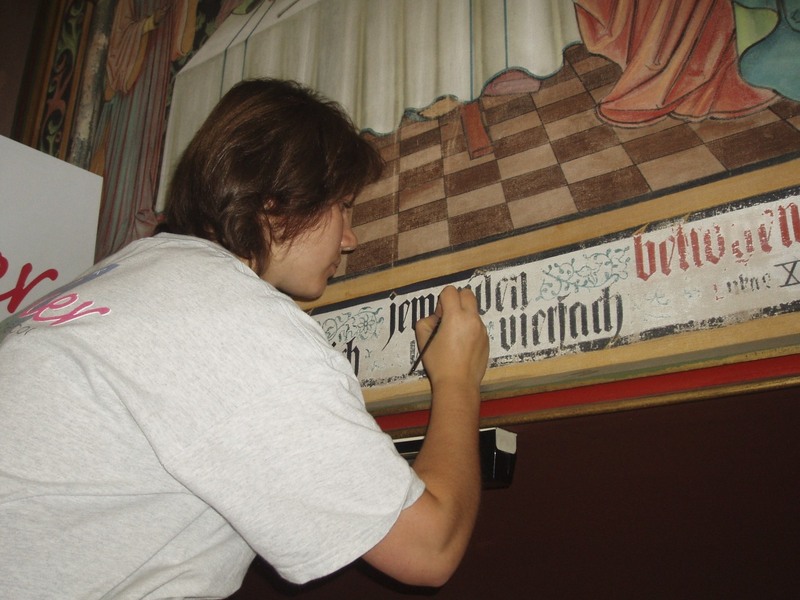 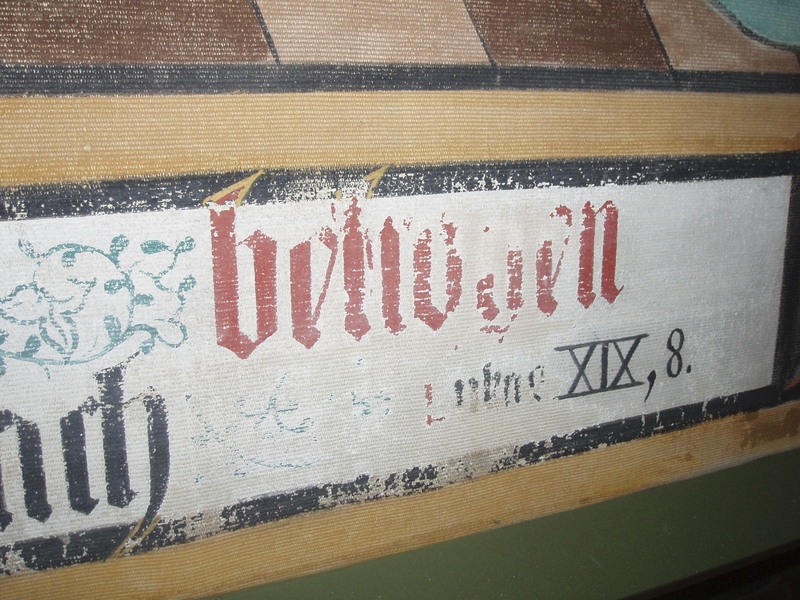 I participated in the restoration of the beautiful chapel of Marienthal in the Alsace region of France. 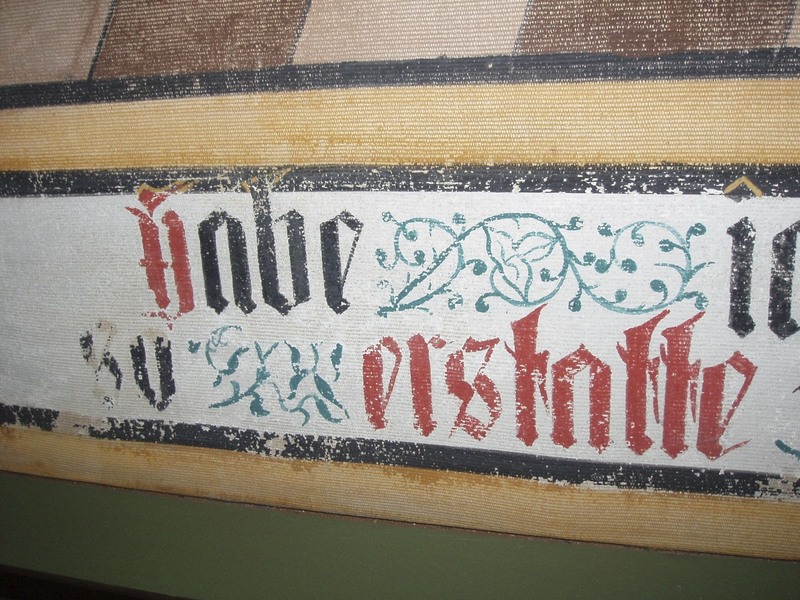 The original paint on this canvas was wearing away. 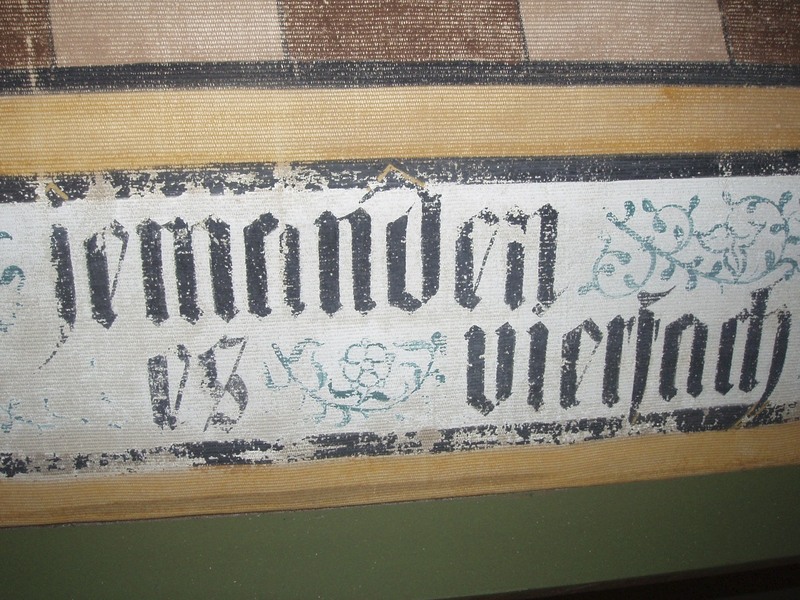 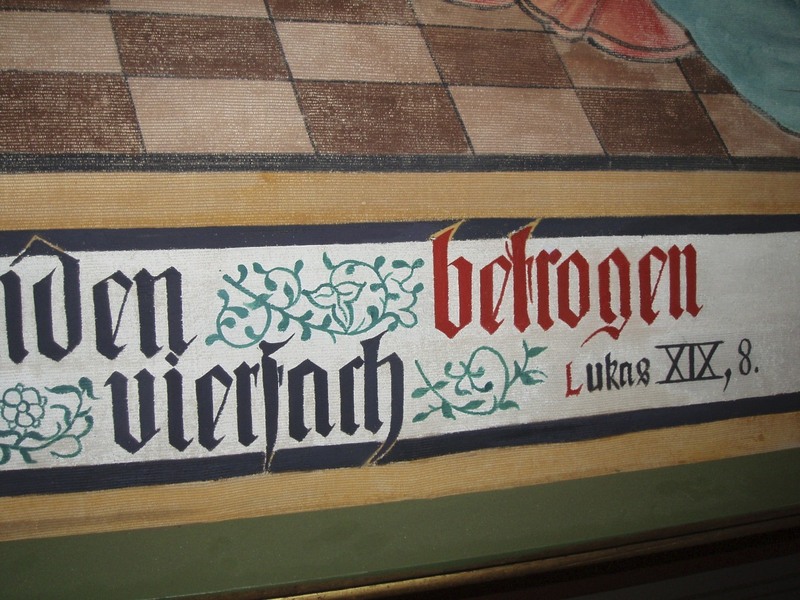 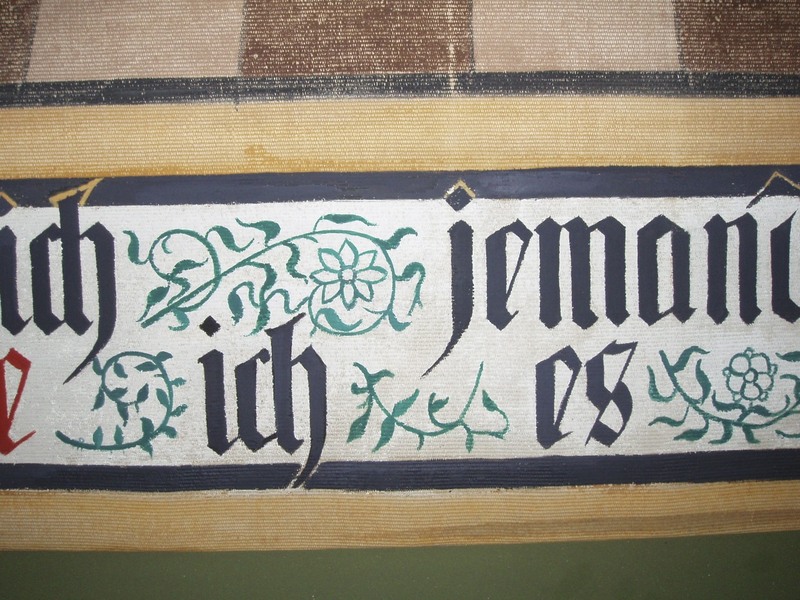 Reviving the original colors, I brought it back to its initial state- as it would have appeared when first painted around 1843. 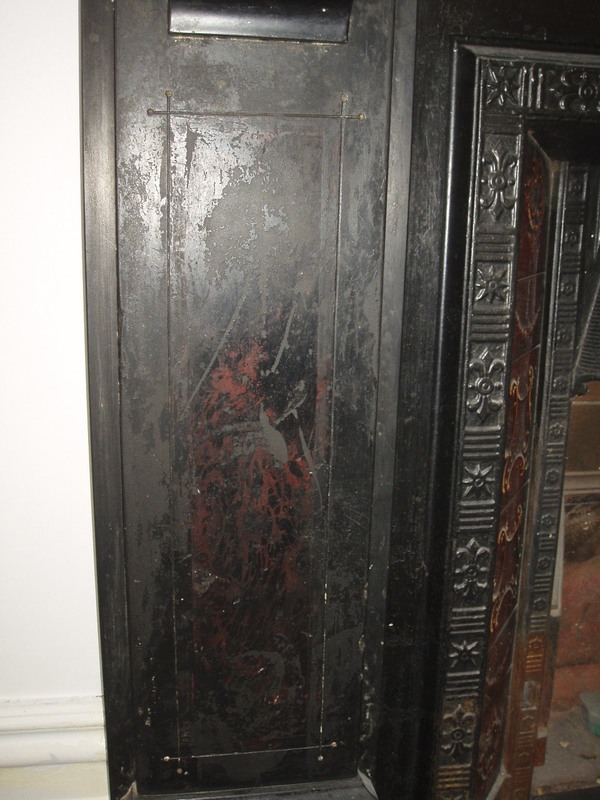 This carved slate Victorian fireplace in a private home in London had an original faux marble finish that was badly damaged. 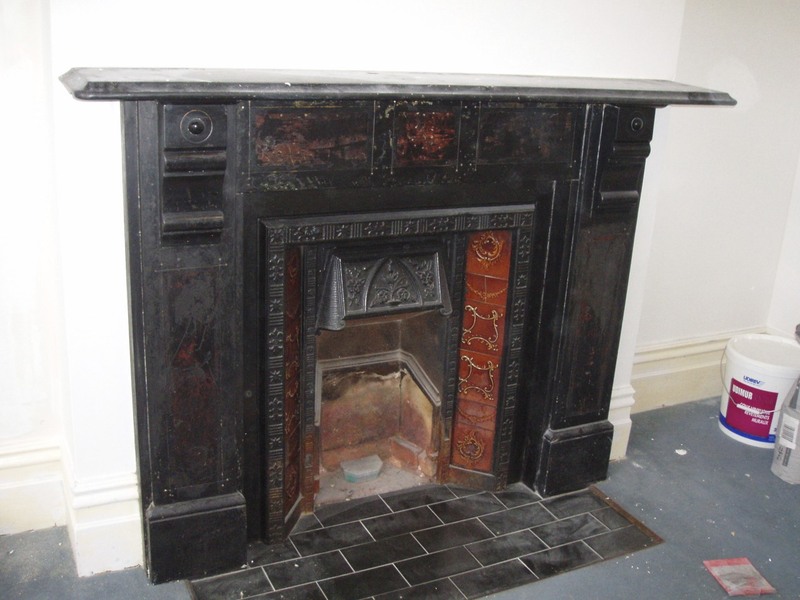 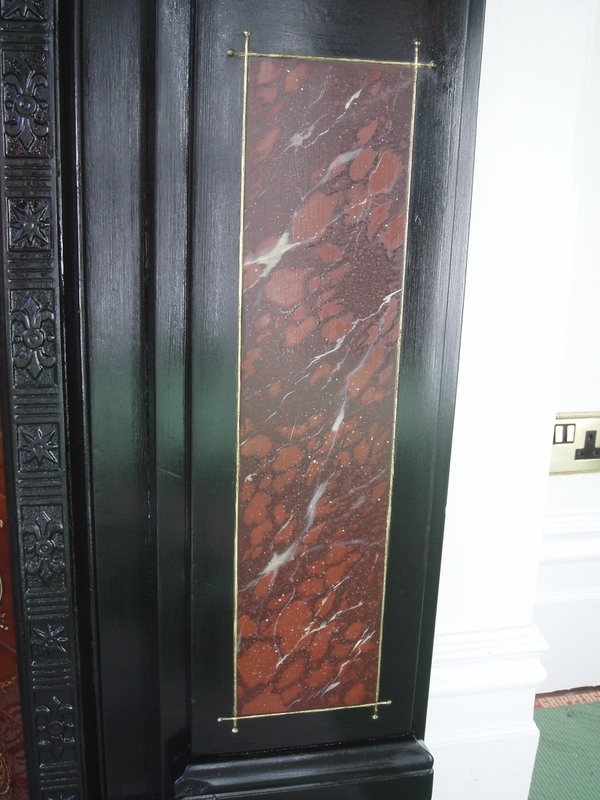 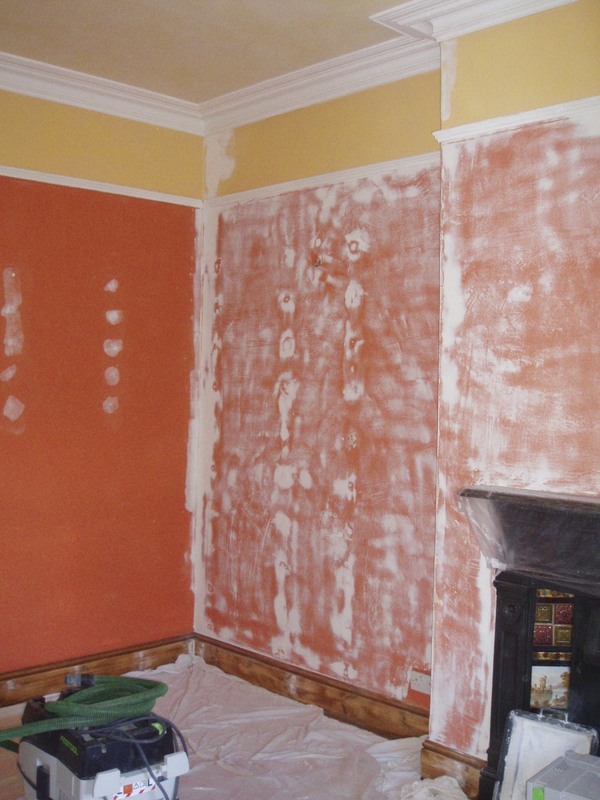 As there was not much of the original decoration remaining to use as an example, I researched different finishes used on similar fireplaces of the same era. 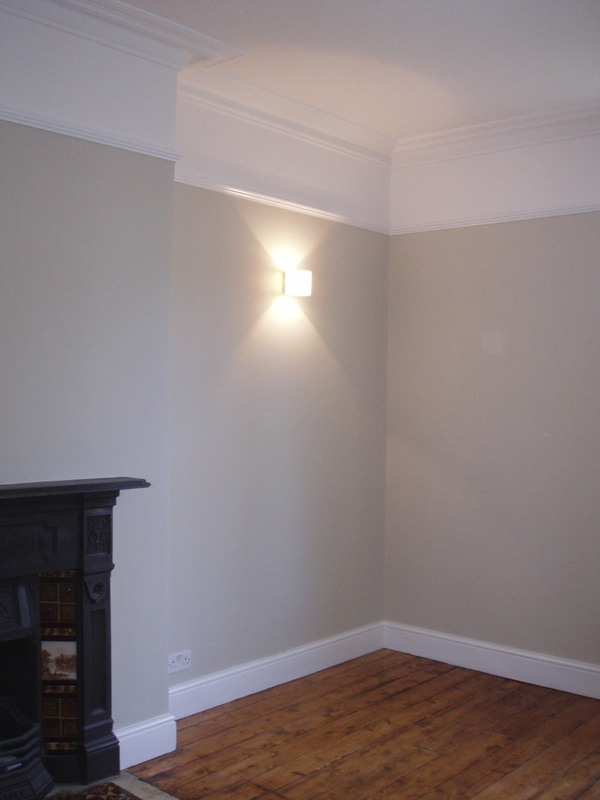 Together with the client, I created a composition that would suit their new interior while keeping most of the original design. 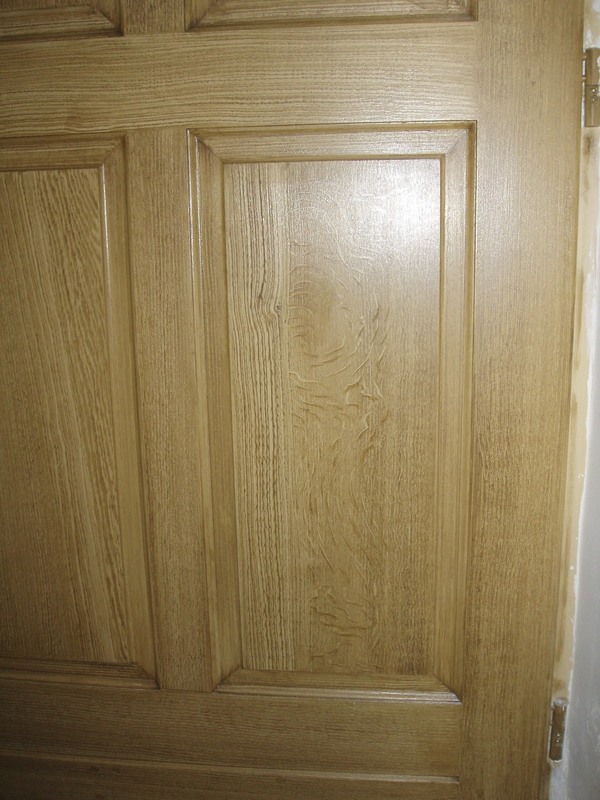 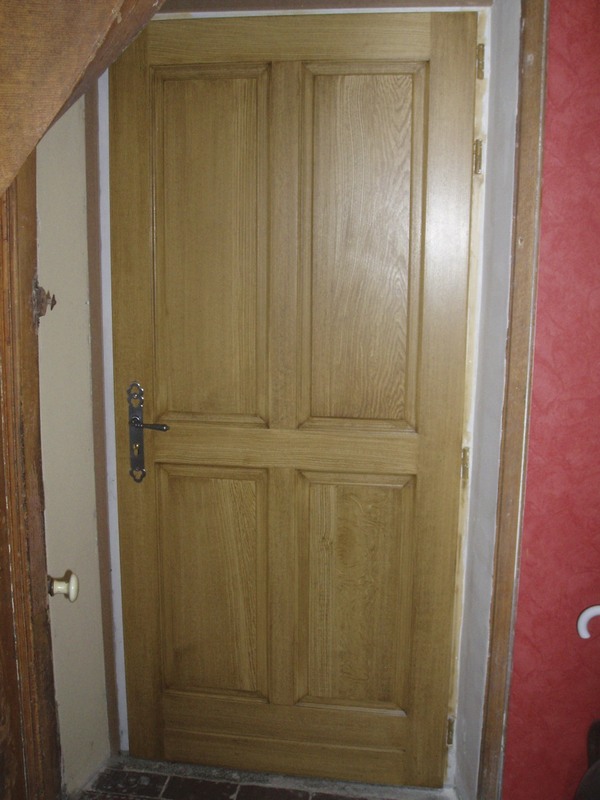 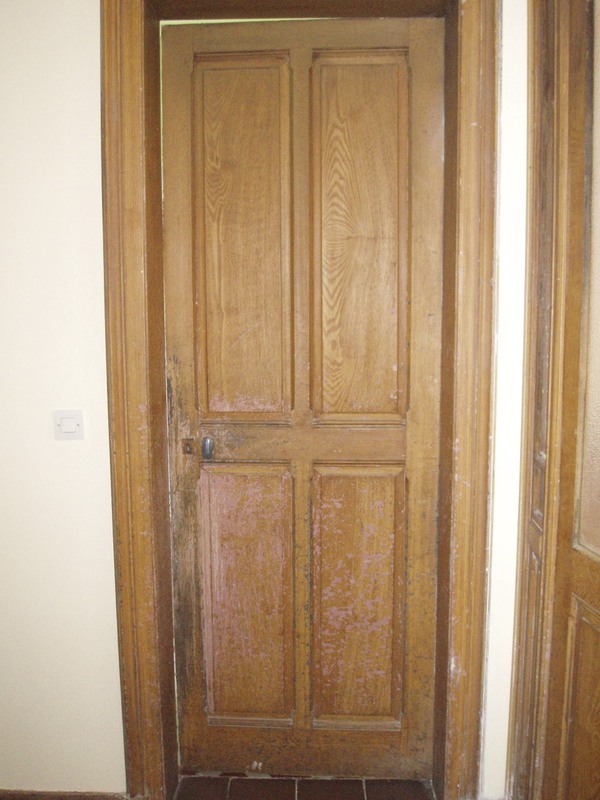 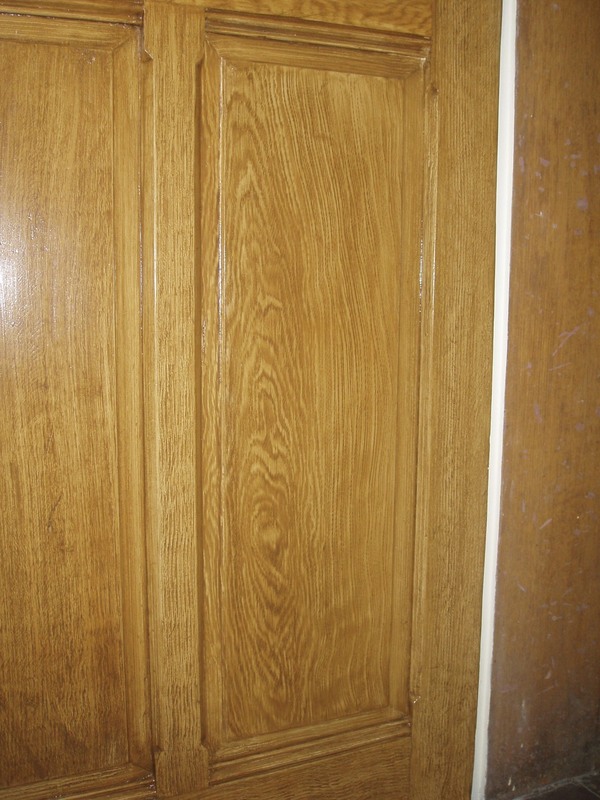 This wooden door in a country manor in Normandy had the original faux oak finish scratched away by the client’s dog. 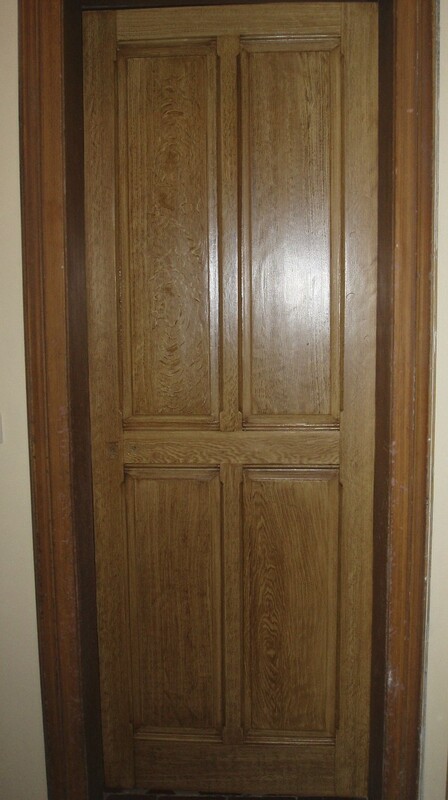 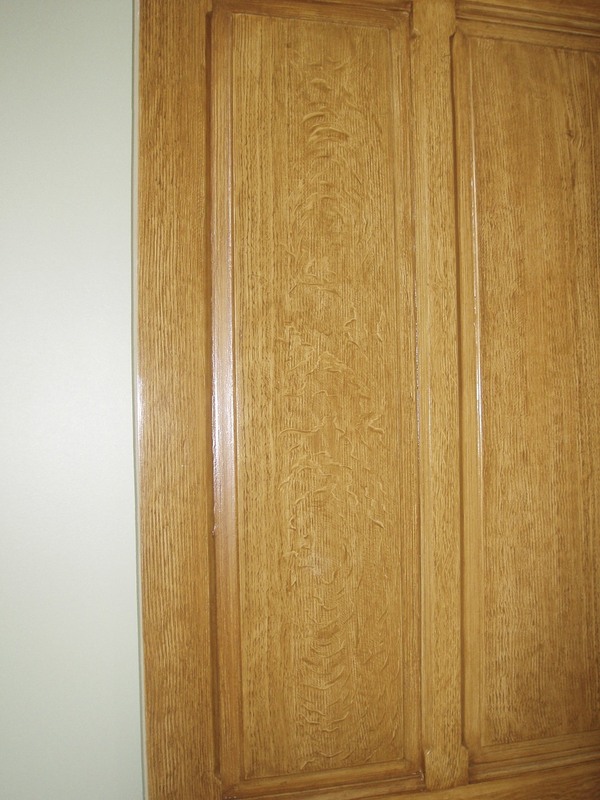 The existing faux oak panels were matched for a seamless result, much to the delight of the client. 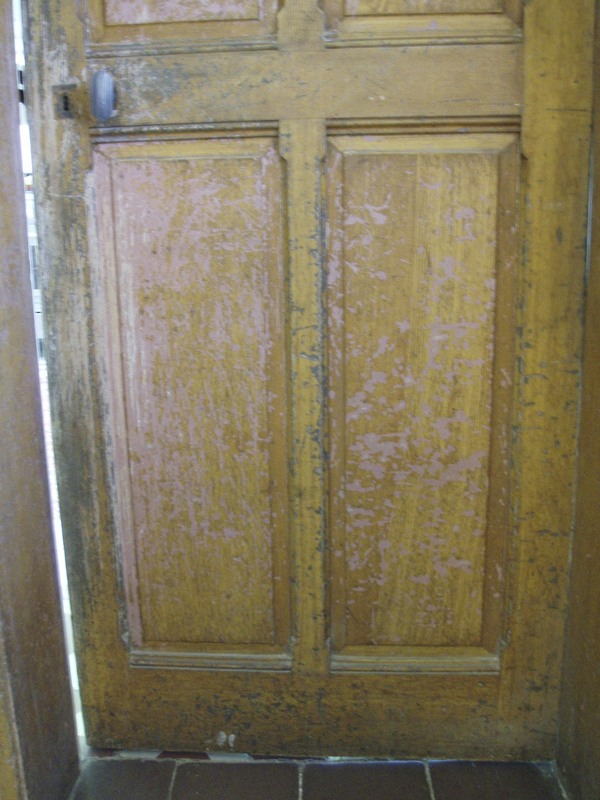 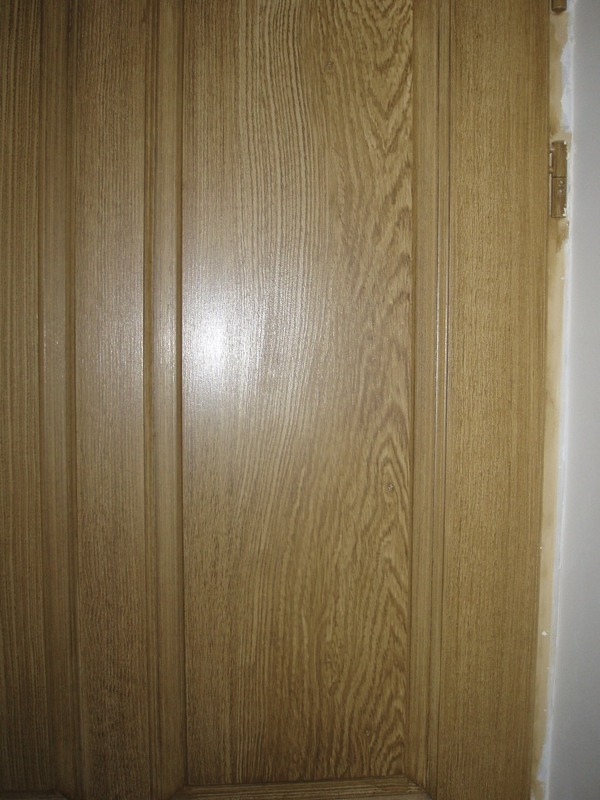 During renovations to the property an additional door was added which was also grained to complete the ensemble.